Barthelona is our only runner on Wednesday when he races at Canterbury from our Sydney stable. Barthelona came from off the pace at his last start to finish well for third over 1300m at Rosehill. Mike Moroney expects the small field on Wednesday and the slight drop in class will suit the four-year-old. “He’s trained on very well from his run at Rosehill and Nerissa who runs the Sydney stable reports he couldn't be better,” Moroney said. “I think he finds himself in a very winnable race as he drops back to a BM77 compared to the 80 he ran in at his last start. “The horse that won his last start - Redouble - came out and won again at Rosehill on Saturday which just strengthens the form further. 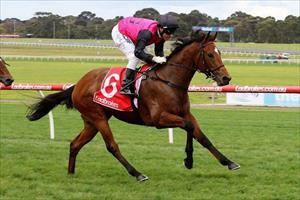 Barthelona contests race five, a Benchmark77 Handicap over 1250m and has drawn barrier one. He will again be ridden by Christian Reith.